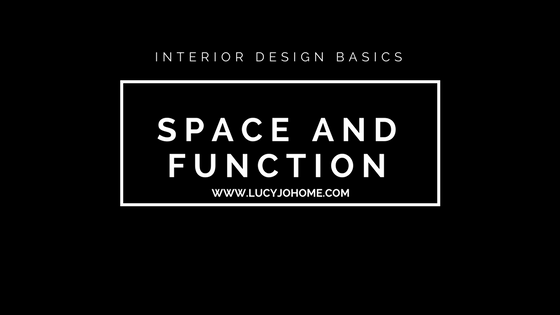 This free interior design course covers the importance of space and function and how to use them in your designs. Most of you will be working with an existing space and the rest of you are designing the space yourself or at least monitoring the design of your space, so this course is for everyone! If you have an existing space, you need to measure the three dimensional space (length, width, and height). Just so you know, two dimensional space is just length and width. Once you know the dimensions of the space, you can decide what function the space will have. You informally do this when you see the largest bedroom with a bathroom attached and decide that it will be the Master Bedroom. 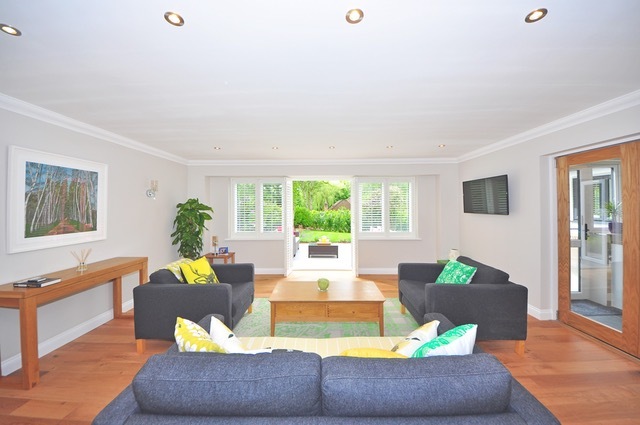 Other rooms in your home may have less obvious functions and therefore you get to decide how you want to use it. If you are building a home, make sure to create space for the places that are most important to you. Do you like to be together as a family all the time? If so, create a space that accommodates your family, like an open floor plan (kitchen, living room and dining room all run into each other) or a large family room. Does everyone in your family like to have their privacy? Design rooms that meet the needs of the person and if they are going to spend lots of time in there, think about what will make the space welcoming and showcase that person’s style. Space is the first design element that will help you to make an informed decision on function, which leads to lighting, furniture, and home decoration choices. If you don’t know the dimensions of your space, the amount of paint to get, furniture size, placement of light fixtures, size of decor pieces and height of window treatments will be very hard to determine. Knowing your space well is the first step to create awesome spaces! The simplest way to think about space is to understand positive space (space that is filled with furniture and home decor) and the negative space (space that is the between everything in the room–between seating, between furniture and the ceiling, between doors and windows). 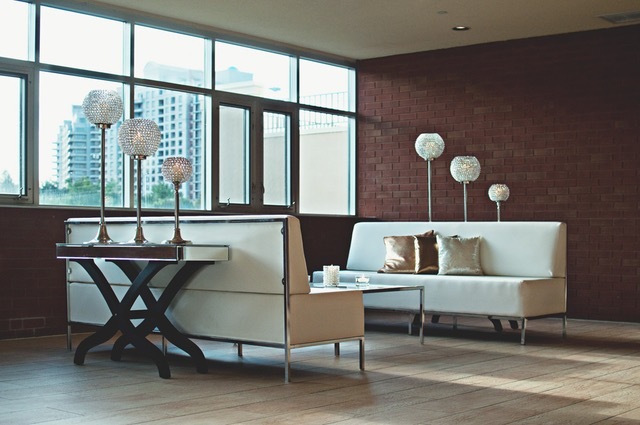 Your goal is to balance the positive and negative space in a room. There are actually psychological effects based on how you space a room. Mirror images =function and aesthetics perfectly combined. Picture Below: There is symmetry with the furniture and decorative light. The window to brick ratio is asymmetrical which brings interest. The brick texture in the room also adds interest–we will talk about texture later. There is mirror images here and this spot certainly functions as an aesthetically pleasing sitting area. For each room there should be a focal point, a center piece and triangulation. Picture Above: The focal point of the room is the window view, the center piece is the coffee table and the triangulation is created with the large framed art and the console table. Here is guidelines for spacing in certain rooms. Remember these are just guidelines, so don’t feel like you are doing it wrong because the measurements are not exact. We all know that some of the most beautiful things are deemed “mistakes” at times. Find the measurement guidelines for main rooms here. Measure the length, width and height of the room. Continue to measure the width and height of any windows. Last, measure spaces that are between windows, doors or other parts of the room that will divide up areas for furniture and decor. Write down what you want to use the room for. Eating, recreation, visiting with friends, welcoming guests, reading? Keep these measurements and notes handy for the rest of your planning to come. 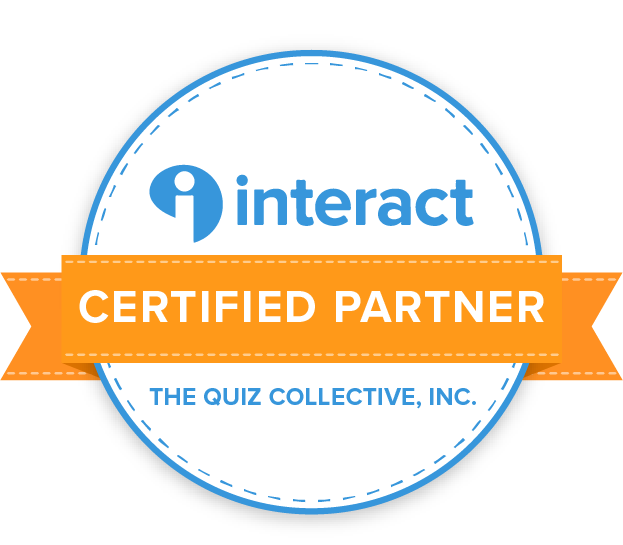 Subscribe to this website and receive a free worksheet to help you keep track of your preparation information.